Enchanted Night Black and White - Big artificial leather bag. 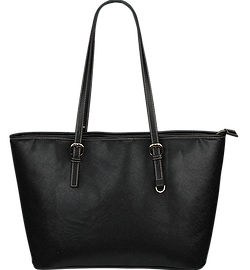 Style Enchanted Night Black and White - Big artificial leather bag. Wow, this is probably the best bag I’ve ever bought. I was happily surprised by the size, it holds so much and the quality was way better than I expected! I love this bag! It's perfect fits everything I planned on putting in it.